'When I first did it, I was like, 'oh, let's see where this goes' — and was so surprised that it grew to what it was,' said Renee Sanderson, who's ready for a new chapter. After several years devoted to good deeds and helping those in need, Renee Sanderson says she's ready for "a new chapter" in her life. 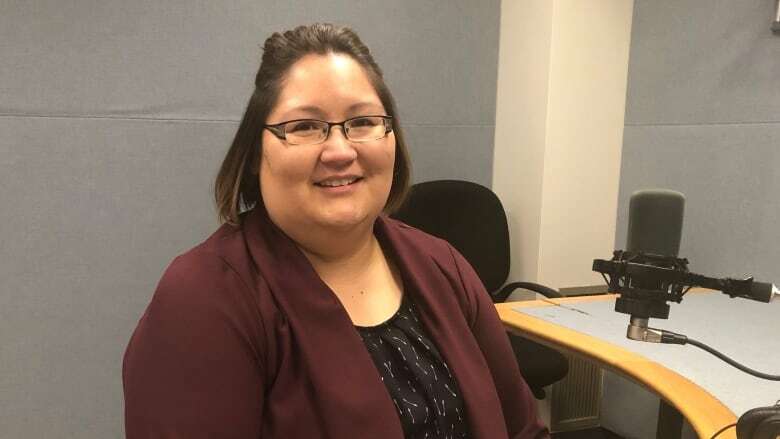 The Yellowknife woman is stepping away from running her brainchild — the popular Pay It Forward NWT page on Facebook. "It's definitely bittersweet," she said. "It's just time to put my focus elsewhere." Sanderson created the page in 2015 as a community-building initiative. The idea was for people to donate household goods they no longer use. Recipients of those items were then encouraged to give something back. It soon caught on, and now has more than 1,500 members on Facebook. "When I first did it, I was like, 'oh, let's see where this goes' — and was so surprised that it grew to what it was," she said. In one recent post, Sanderson asked for anybody moving away or cleaning their pantries to donate any opened and unwanted food products, for people in need. 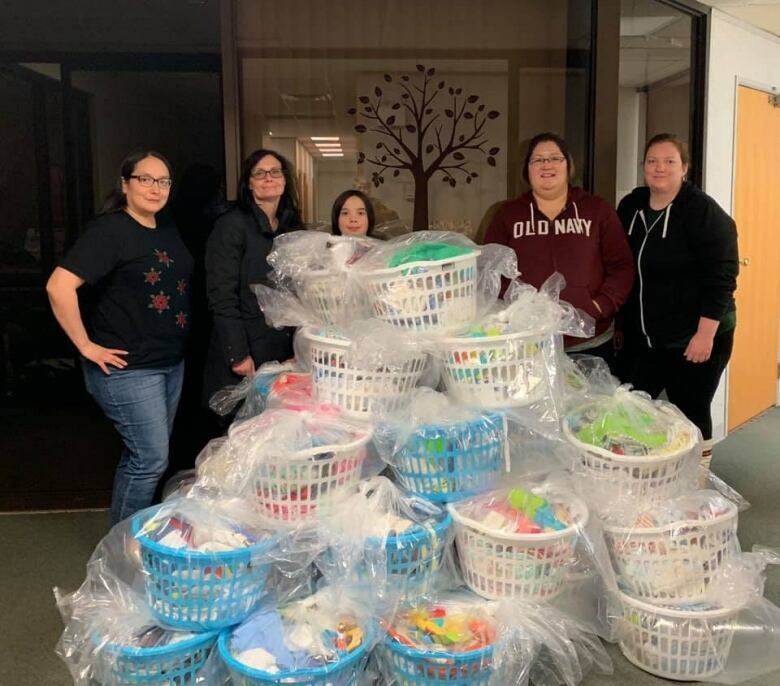 Other posts show a Christmas hamper program, and baby baskets delivered to the local maternity ward. "I just asked, and people gave," she said. Sanderson, who grew up in Fort Smith, N.W.T., and Fort Chipewyan, Alta., says she was raised to think about others, and help where she could. "Every evening when we were sitting around the table, my dad would go around the table and ask us, 'what did you do good today?'" Sanderson recalled. "It was instilled in us as little kids, and we just carried it on from there." Moving to Yellowknife, she decided to do what she could for the homeless population. She came up with a "Christmas in July" hamper program and set about raising funds through bake sales and other efforts. "I was able to buy some toiletries, snacks, new pair of socks — it was all put in a backpack and we brought it down to the homeless shelter," she said. The 50 donated packs were well-received, and Sanderson was ecstatic. "Just seeing the reaction, like, they were just so amazed that someone took the time out to do this and give it to them. "I remember that day being on cloud nine — it was such a great feeling." Now, Sanderson is ready to put a bit more focus on her own family. She has two children with special needs, and she plans to devote more time to advocacy work for them. The Facebook group isn't going anywhere, though. She says someone else will take over from her. "There's so many people that want to give. I think they just need that platform."